Meet Kelsey, She’s a senior at Keswick, and she wanted downtown St Petersburg senior portraits for the “urban” feel with the large graffiti murals, colorful alleyways, upscale storefront backgrounds and a range of other looks. She is a country girl at heart, so to capture that flair, we also ran over and photographed her on some local railroad tracks. She is great fun and so easy to photograph. Our lead photographer Andrew & his wife Hannah had a blast photographing this sweet senior with the country/urban spirit (and her super cool dad). We hope you enjoy looking at a few of our favorites! Kelsey went with an urban look for her senior portraits in downtown St Pete. But, we love checking out new places and are happy to go anywhere in the area or make suggestions based on the look you’re going for. 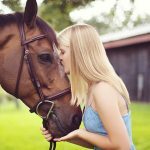 We’ve done senior portraits at horse barns, the beach, various parks, with cars, on the field at a school, and even at our senior’s homes. 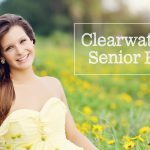 We’re flexible and love working and dreaming with our Seniors to put together the best outdoor senior portrait session possible. Click here for more info on the sessions we offer.